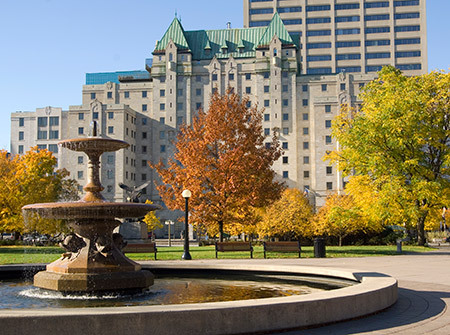 Lord Elgin Hotel began as the centrepiece of a grand plan to create a captivating capital city during the early years of World War II. 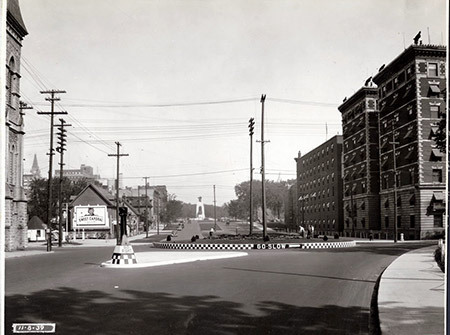 Site of the current Lord Elgin Hotel taken from Laurier Avenue & Elgin Street. 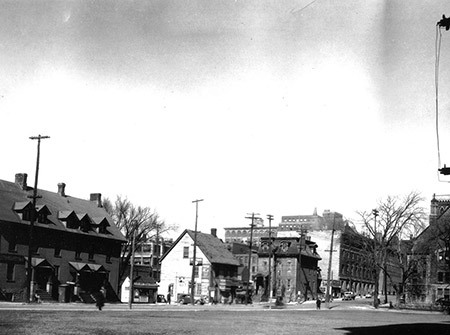 The Lord Elgin site stood at the foot of the recently completed Elgin Street boulevard leading up to the National War Memorial, a project that had razed a swath of historic buildings through the heart of Ottawa to open this run down vista of Elgin's west side. 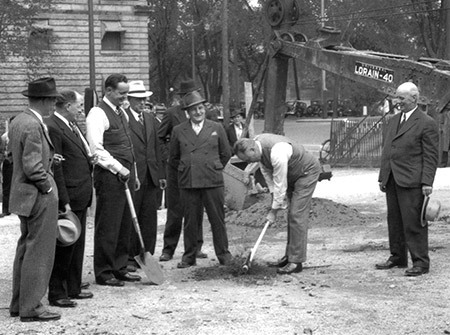 The ground breaking ceremony of our hotel in 1940 with then Ottawa Mayor Stanley Lewis. 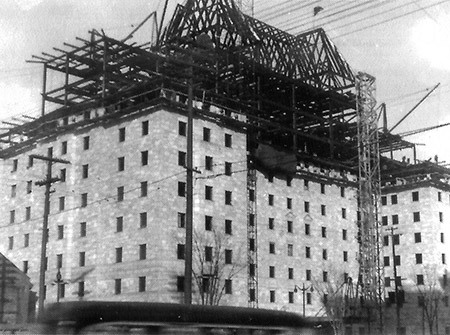 Construction of the Lord Elgin Hotel. 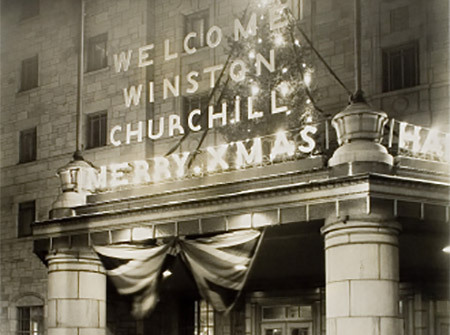 Prime Minister Mackenzie King chose the limestone from a quarry in Niagara region. 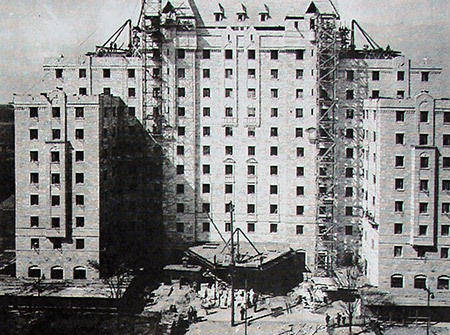 Architects Ross & Macdonald (Chateau Laurier Ottawa, Royal York in Toronto) were selected to design the Ottawa hotel. Construction nears an end. 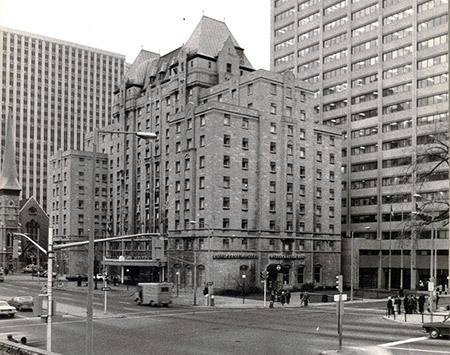 Stone masons were brought over from Scotland as there was a shortage in Canada to build the hotel. 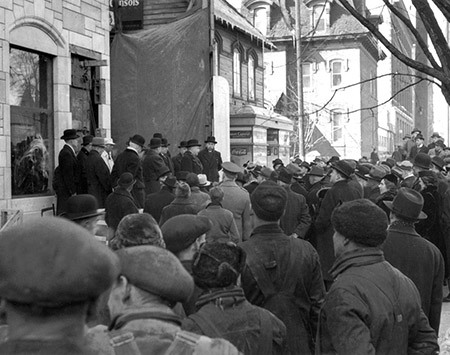 February 27th - Shortly after 2:30 pm King was joined on the dais by Mayor Lewis and contractor John Wilson. 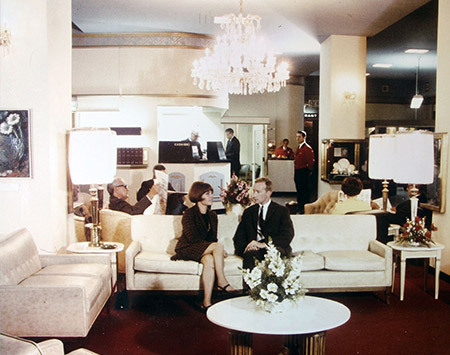 '...Mr. King was presented with a silver trowel to perform the ceremony. It was inscribed "Presented to the Rt. Hon. W.L. 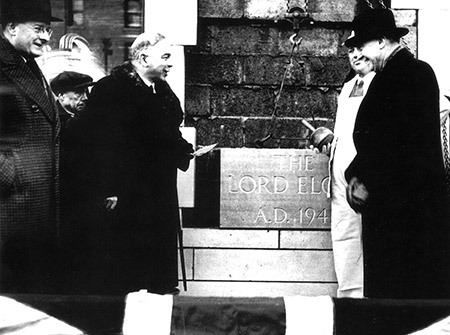 Mackenzie King on the occasion of the laying of the cornerstone of the Lord Elgin Hotel, February 27, 1941".' Ottawa Journal, February 28, 1941 King kept the trowel, and it's still on display in a cabinet in Laurier House. 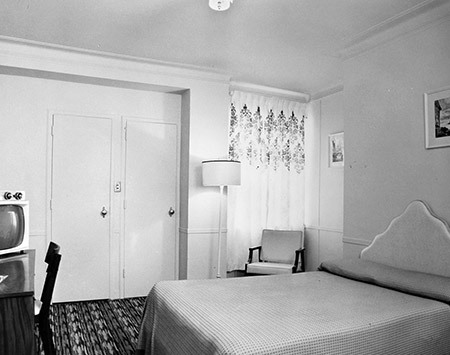 After his speech Mackenzie King was guided around by Mr. John Clarence (Jack) Udd, the President of the Ford Hotels Inc. King noted; 'He took me to see a sample room which had been set up in an adjoining building, the walls having been made out of beaver board.  It represented the smallest room in the hotel. 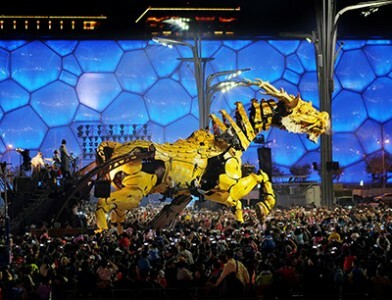 It was really quite attractive.' 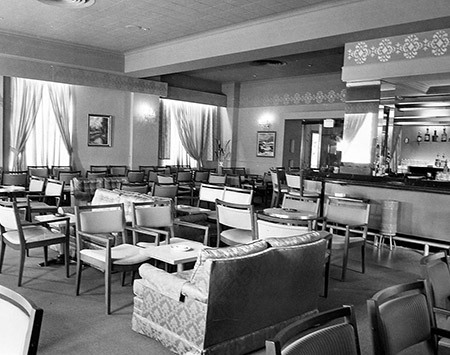 Actually, all of the 400 rooms in the hotel were very small..
Lord Elgin Hotel damaged by fire which originated in Murray's Restaurant. Hoselines hauled up 13 storeys above street level on ropes lowered from the penthouse by firefighters. 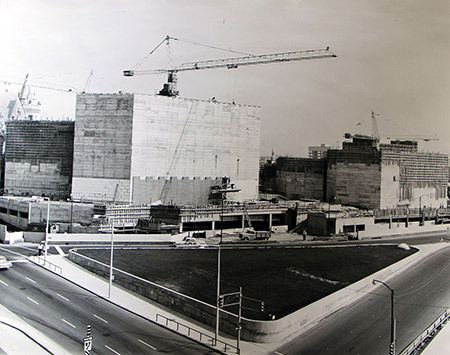 Construction of National Arts Centre (taken from hotel). 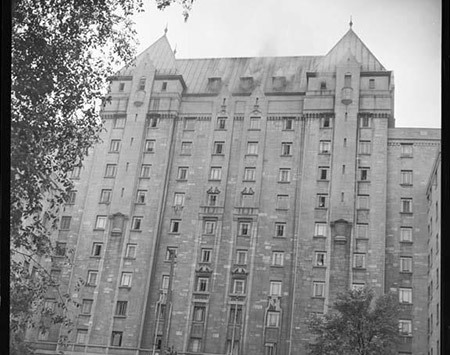 View of Hotel from the North East corner. 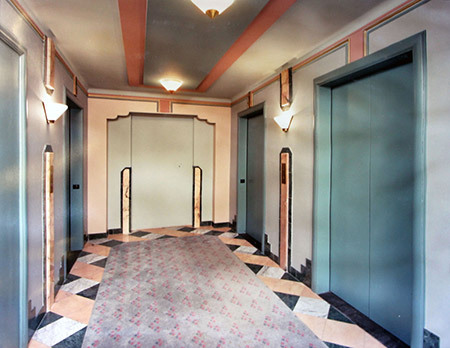 Hotel elevator landing after the first renovation. 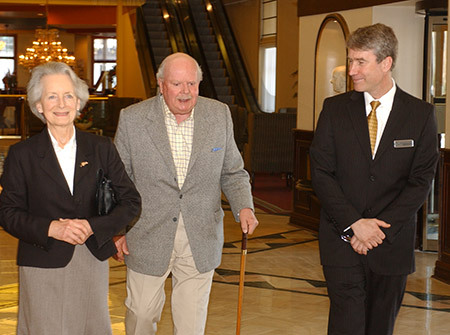 Owner Patrick Gillin passes away. 1949 International KB2. 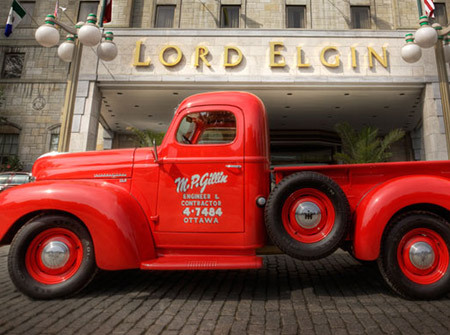 A replica of Mr. Gillin's first truck when he started Gillin Engineering in 1950. It was restored for Mr Gillin's 75th birthday in 2000 the 50th anniversary of ‎ Gillin Engineering. 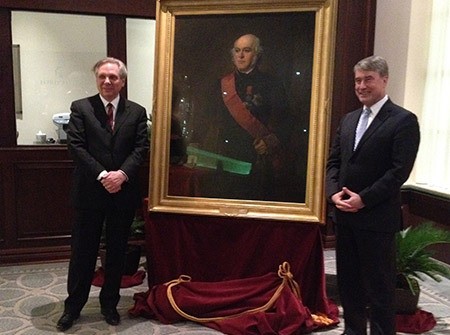 It stood in front of the Lord Elgin to commemorate it’s owner after his death. 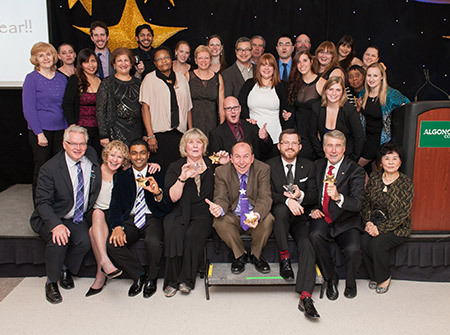 Lord Elgin wins Star Property of the Year in Stars of the City Program. 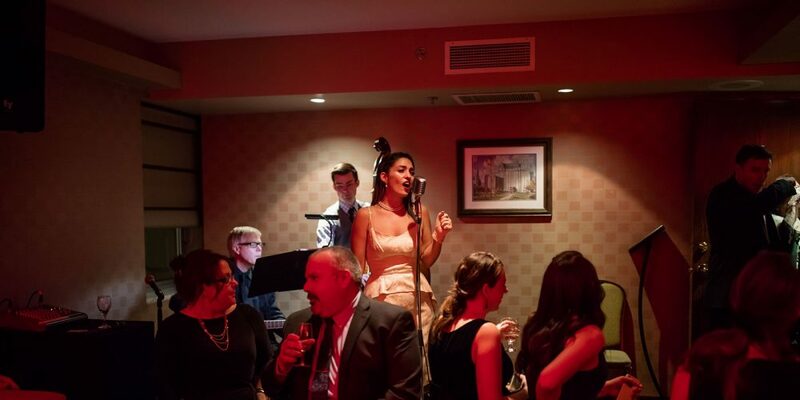 Lord Elgin Hotel Ottawa in 2015. 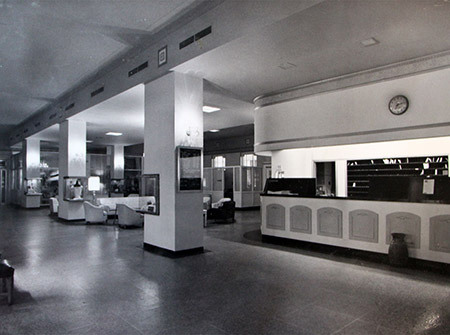 Lord Elgin Hotel turns 75!!! 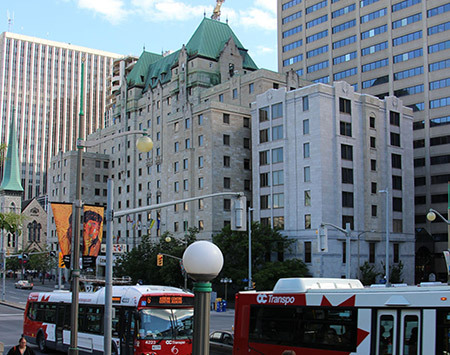 Lord Elgin Hotel completes extensive renovation to all guestrooms and corridors. 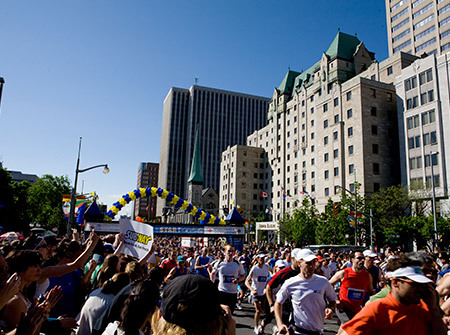 All feature rich custom Canadian millwork, artwork inspired by Ottawa’s world-famous Tulip Festival, exquisite seating, and marble-clad bathrooms with walk-in showers or tubs.